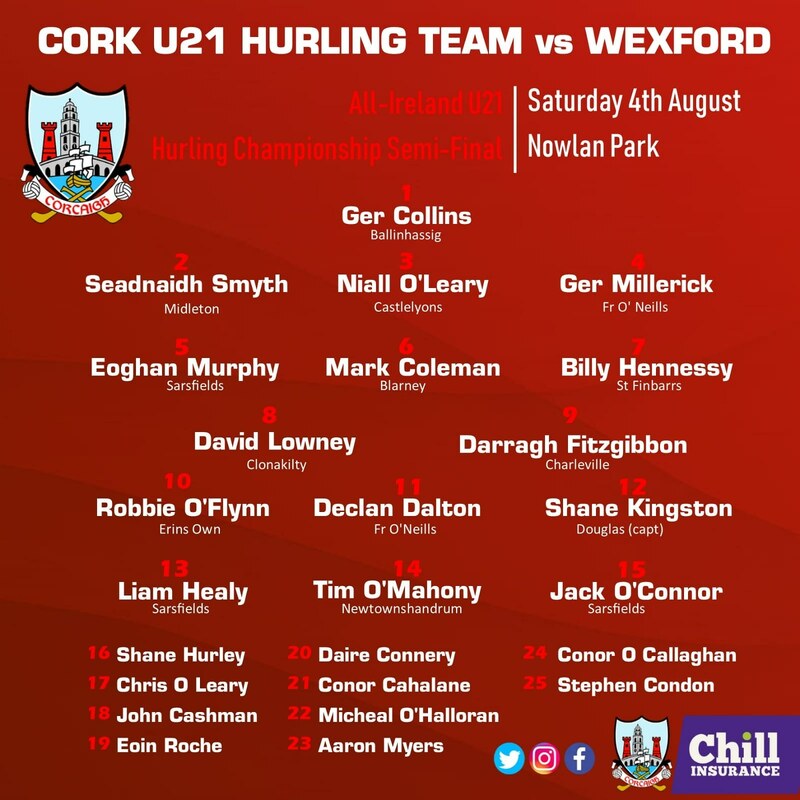 The Cork U21 Hurling team to play Wexford in today's All-Ireland U21 Hurling Championship Semi-Final on Saturday 4th August in Nowlan Park @ 4pm has been announced as follows. There will be live coverage of the game on TG4, C103, with updates of both games on Cork's 96FM, Red FM, Cork GAA website and Twitter page, but nothing beats being there!! 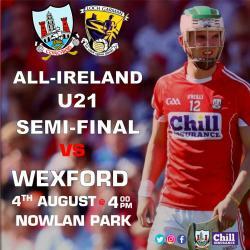 Tickets are available for purchase via participating Centra and Supervalu Outlets (Ticketing Store Locator). Tickets will also be available at the grounds.